KSS Recognized as one of West Michigan’s Best and Brightest Companies to Work For® in 2017! 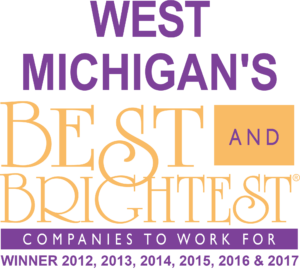 We are excited to announce that KSS Enterprises has been recognized as one of West Michigan’s Best and Brightest Companies to Work For® in 2017! This is the sixth year in a row that KSS has been honored with this award, and we would like to thank each and every member of our team for their continued commitment to excellence in the workplace.